Get ready to laugh the night away on Wednesday, the 4th of October 2017, when the West Coast’s premier entertainment destination, Mykonos Casino, will be hosting one of South Africa’s best-loved comedians – Jonathan of the East Rand from Radio Raps. Jonathan’s fun-filled performance starts at 20:00 and will be held in the Athene Conference Centre at the Club Mykonos resort. Tickets to the show cost R150 per person, with discounts available for Mykonos Casino Rewards cardholders, and can be booked either by emailing tickets @www.mykonoscasino.co.za or by visiting the Mykonos Casino customer service desk. Mykonos Casino’s next must-attend event will be the Mykonos Festival, taking place on the 15th and 16th of December 2017. For more information, please visit www.mykonoscasino.co.za or call 022 707 6970. This entry was posted in Uncategorized on August 25, 2017 by shaunjengel. 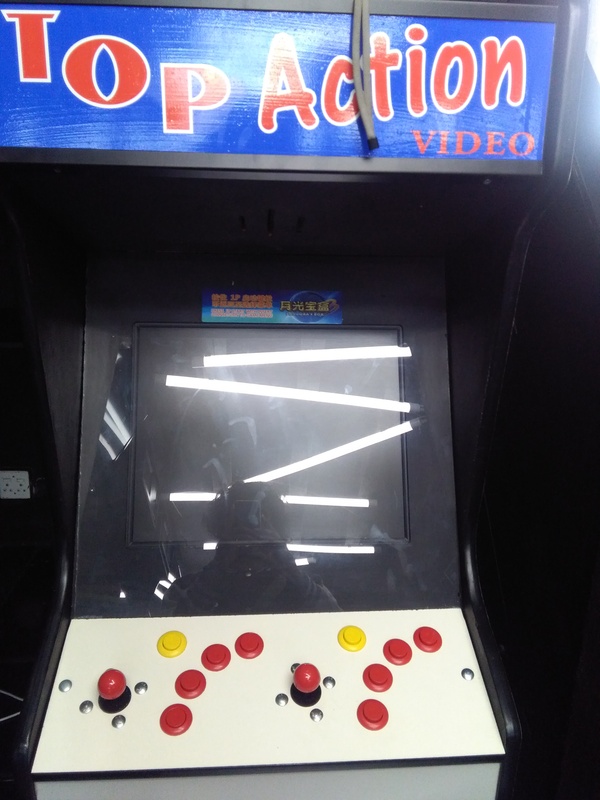 As I entered the VRcade situated at Old Biscuit Mill in Woodstock I immediately felt a sense of fun, the first thing I noticed was the old school Arcade system and it took me back to the days when I played Cadillacs and Dinosaurs at the local corner shop. …Little did I know that in a few minutes I would be entering a real jungle shooting Dinosaurs from all angles. 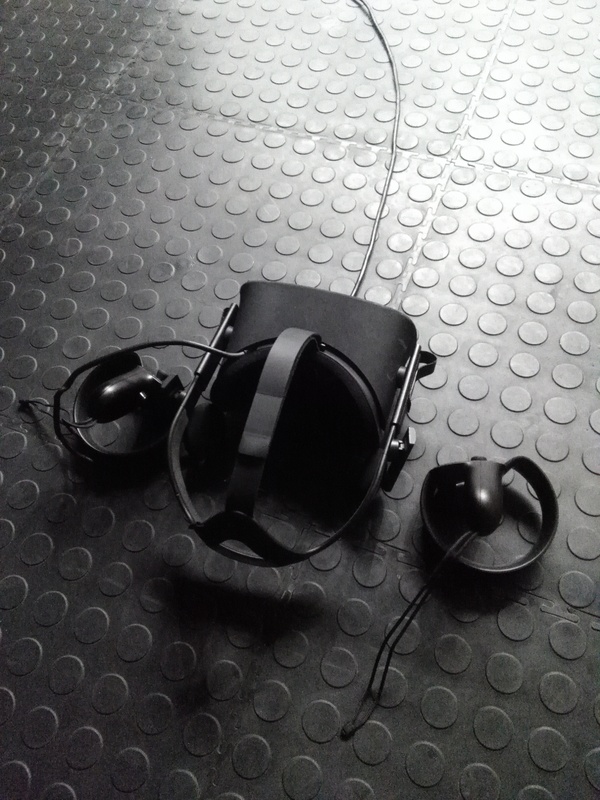 I tried the Oculus Rift before at a gaming expo and was amazed at the capability of Vitual Reality gaming, todays experience was however something out of this world as I beheaded Zombies in Bullet Sorrow, entered a haunted house in Emily wants to Play, went through a Job Simulator, fought off hungry Dinosaurs on Island 359 and blasted Robots in Robo Recall but the most heartstopping of rather thrilling experience was the Vitual Rollercoaster in Thrills and Chills 2. I must be honest and say I felt like I was going to fall over, my palms were sweating and heart racing as the coaster did a near vertical drop and some loop the loops, when I took the headset off and expressed my amazement the assistant informed me that there is another rollercoaster simulation that is even more thrilling. With a choice between the Oculus Rift or HTC Vive headsets and hundreds of titles to choose from, you’ll be immersed in Vitual Reality losing track of time and escape or better yet be whomever you want to be….a Jedi or Money Making Boxer endless possibilities await you….Gather your friends, family, colleagues or come alone this experience is a must if you are into gaming with a difference. 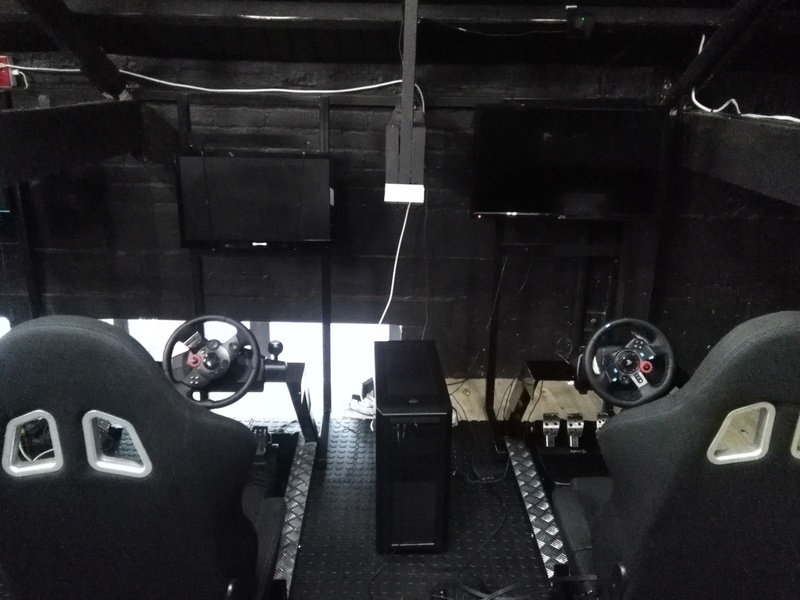 Vitual Reality Gaming has many possibilities, it is educational, interactive and super fun. Did I mention the Vitual Reality Racing? Well this is available too so should I say it, Yes I’ll say it….Ladies and Gentlemen start your engines and GO GO GO!!!! Anyone seven years and older is welcome. Immerse yourself in Another Reality…….THIS IS REAL!! This entry was posted in Uncategorized on August 24, 2017 by shaunjengel. The Baxter’s Zabalaza Theatre Festival is calling for applications from theatre-makers, directors, script writers, community groups and theatre companies to participate in the 2018 Zabalaza Theatre Festival and the deadline for applications is 18 September 2017. The eighth annual Zabalaza Theatre Festival will take place from 9 to 16 March 2018. It is widely regarded as one of the premier development platforms in the country and has received great acclaim over the years. Launched in 2011 with a new name, managing team and vision the format and programme is designed to showcase new and upcoming talent that may otherwise not be seen on professional stages. The full name, Zabalaza Intsika eBaxter Theatre loosely translated, means two things: striving towards being a pillar of the Baxter Theatre Centre and striving towards success. Since its inception the festival has grown exponentially as the organisers pay special attention to innovation and expanding the programme. 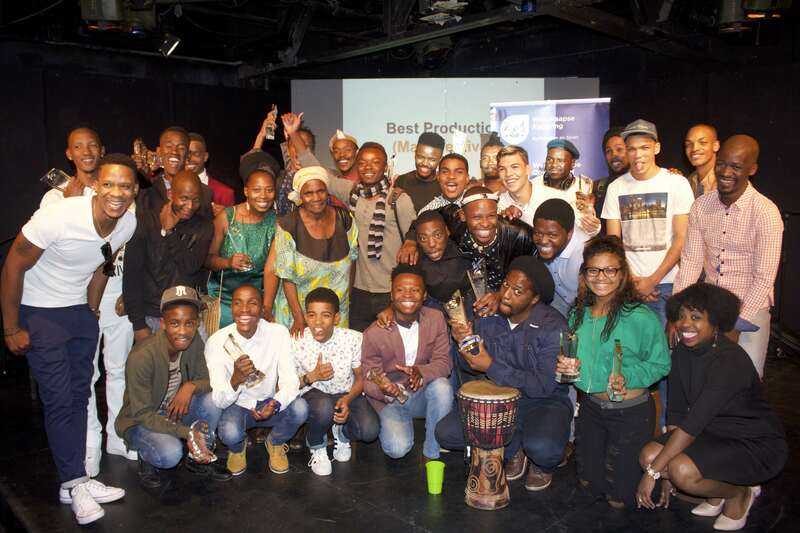 Previous Best Production winners are Uhlazo by Loyiso Damoyi (2011), Worst of Both Worlds by Bulelani Mabutyana (2012), Skierlik by Phillip Dikotla (2013), The Champion by Khayalethu Anthony in 2014, Paul Noko’s Fruit in 2015, TIP-ex by Lauren Hannie in 2016, and Boy Ntulikazi by Thobani Nzuza in 2017. These productions went on to be staged at various festivals and events in the Western Cape. 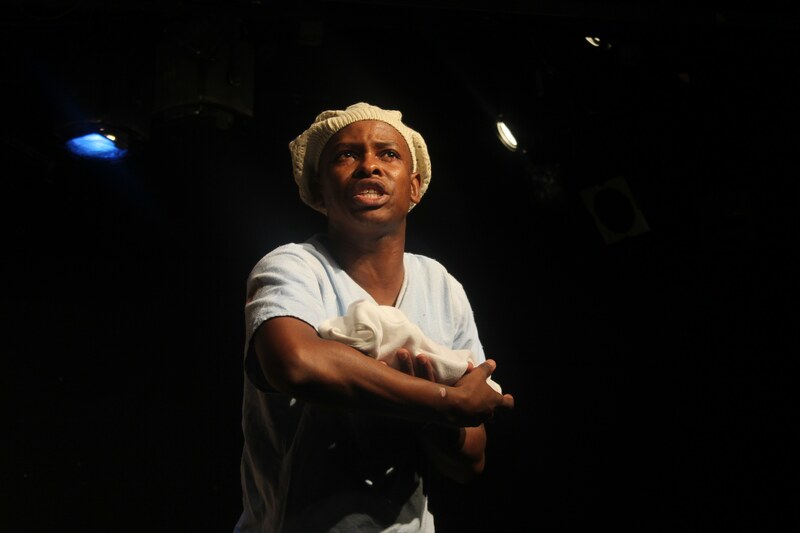 Skierlik received two Fleur du Cap nominations and Khayalethu Anthony won the Fleur du Cap award for Best Performance in a review, cabaret or one-person show for The Champion. Productions that are selected from applications received for 2018 will first be auditioned and will then be invited to participate in the Zabalaza mini-festivals, which are planned for January and February, when the final selection for the 2018 line-up will be made. Auditions take place from October through to December 2017, so artists are urged to apply early. Previous festival participants are also welcome to apply should writers feel that there is a space for their work to grow during the festival. Those who auditioned before and were not selected to be part of the programme may re-apply by auditioning with the same production, provided that they can show that they have worked on improving it. The Zabalaza team has already been hard at work searching for productions that will be part of next year’s programme. The winning productions from these festivals will automatically form part of the 2018 line-up although the final selection from these regions will be made in November. Applications for the 2018 Zabalaza Theatre Festival close on 18 September 2017 and entry forms may be obtained from the festival office at the Baxter Theatre Centre, Main Road, Rondebosch. They can also be downloaded from www.baxter.co.za or www.facebook.com/zabalazafestival. Arrangements will also be made for application forms to be sent to the Makukhanye Art Room in Khayelitsha, Zolani Centre in Nyanga, as well as the Delft Rent Office. The amount of funding available will determine how many of these can be accepted. Applicants will be informed of the result of their applications. Preference will be given to productions from the Western Cape and any groups outside of the Western Cape will be invited at the judge’s discretion. The team heading up the festival are Bongile Mantsai (Artistic Director), Zoleka Helesi (Co-ordinator), Lauren Hannie (administrator) and Mdu Kweyama (curator). The core team is complemented by a number of fieldworkers; various artistic experts who play the role of mentors to these theatre groups leading up to the festival’s opening. For further enquiries or more information about the festival contact Lauren Hannie on 021 680 3980, fax 021 689 1880 or email lauren.hannie@uct.ac.za. Alternatively visit www.baxter.co.za or on Facebook www.facebook.com/zabalazafestival. This entry was posted in Uncategorized on August 22, 2017 by shaunjengel. pass laws that required South Africans defined as “black” under The Population Registration Act to carry an internal passport, known as a pass, that served to maintain population segregation, control urbanisation, and manage migrant labour during the apartheid era . 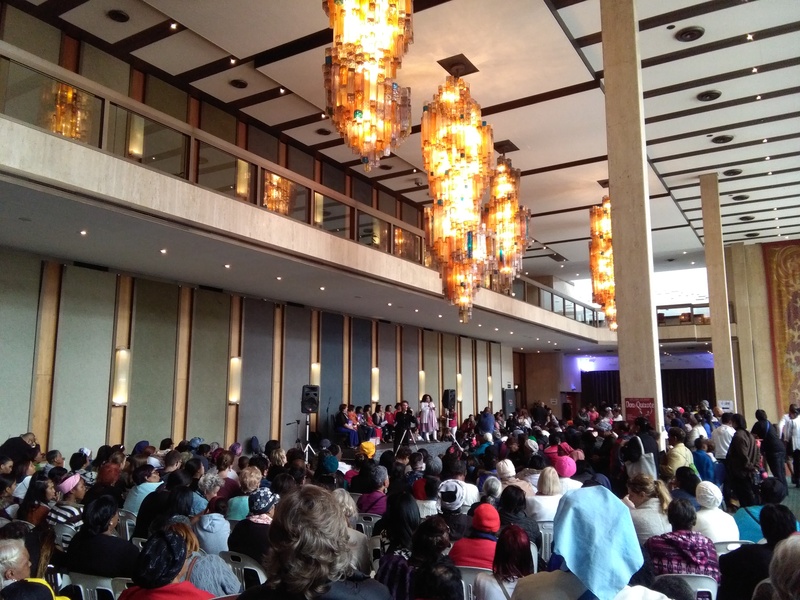 The day was filled with vibrant activity at the Artscape Theatre as hundreds if not thousands of Men and Women gathered to commemorate the occasion, it all started with a march from the Company Gardens voicing their concerns on Violence against Women and Children. 61 years later, we might have not have the same concerns but Women are still mobilising and showing that they are a force to be reckoned with when standing together for a common goal. Another amazing group I came across are the International Women’s Peace Group (IWPG), here I got lost in conversation on the impact these women have in South Africa and The World. We realised that just speaking to each other no matter what gender you are if you can empathise with another and just listen we are already one step closer to PEACE. The real reason I found this event inspiring was when I heard 7 Women read excerpts of their life stories of surviving abuse and violence, The book Women Surviving Lavender Hill is a complilation of stories written by 7 women in a writing project offered by New World Foundation. The book is a no holds barred account of these ladies struggles but ultimately coming out on top and SURVIVING, they open up their hearts and hopefully those reading it will be empowered and inspired to overcome similar situations. I salute these 7 perfect Women and wish them all the best…infact I salute all Women and Thank you for being such powerful human beings. This entry was posted in Uncategorized on August 10, 2017 by shaunjengel. MUSIC….hmmm yes music is good for the soul and when played well it will definitely give you a reason to smile. For the past couple of months I’ve been attending The Baxter Theatre on a regular basis with good friend Tasneem Daniels maar julle ken haar sieka beter as die vrou van Cultsha Kennis (check out her blog). 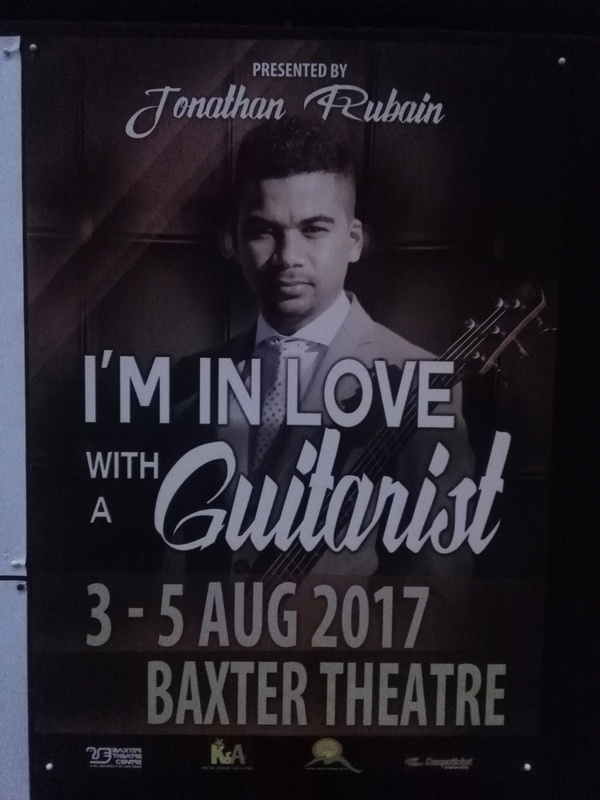 Tonight we got the opportunity to attend Jonathan Rubain’s new show I’m inlove with a Guitarist which runs until the 5th August, not much time to get tickets but definitely worth it – get to computicket or The Baxter and book now. This is the 3rd time Jonathan is performing this show, I’m going to be honest and say I never heard of him before this but WOW was I amazed by the talent on stage. I enjoy listening and watching live performances especially when it comes to music and since I’ve started picking up a guitar myself (think I’ve got the G chord perfected), this was a great opportunity to see some greats at work. Jonathan took us on a musical journey together with his amazing band and introduced us to some of his friends who joined him on stage playing their own original pieces as well as some songs that the appreciative crowd knew. We clapped and bobbed our heads to each beat but the sadness seeped through the whole hall as he paid a heartfelt tribute to the passing of Goema legend Errol Dyers one of his mentors with whom he performed this show previously. This show would’ve brought a big, or rather a HUGE smile to Errol’s face especially since Jonathan introduced new young talent to the stage just like the opportunity that he got at a young age. The Bonteheuwel based Jazz Yard Academy were so impressive I actually wanted them to perform longer, there is definitely talent in this beautiful country of ours which needs to be nurtured. 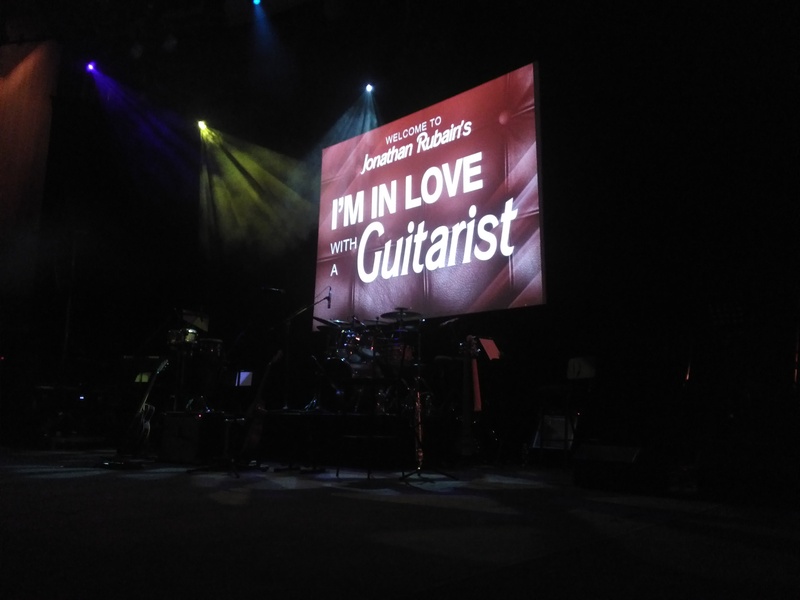 Thank you Jonathan and the amazing band together with supporting acts – Amazing indeed!!! This entry was posted in Uncategorized on August 3, 2017 by shaunjengel.